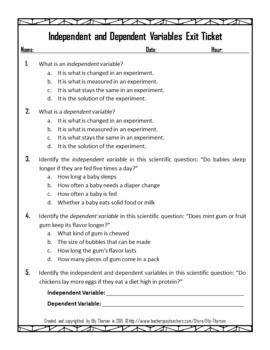 Use this five question assessment to quickly determine student understanding of the differences between independent and dependent variables. Four of the questions are multiple choice. The fifth question has students identify and write the variables from a scientific question. This document contains two different versions of the same exit ticket questions. The first is a full page version with larger font. The second version contains two of the exit tickets on one page so the teacher can reduce paper waste and printing time by cutting each page in half. A key is included. 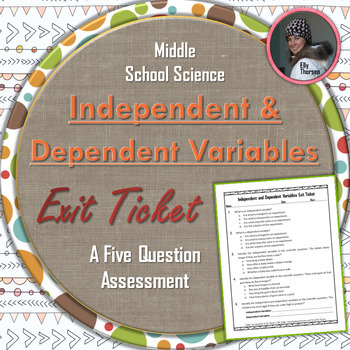 This exit ticket is part of the Middle School Science Exit Ticket Super Package. 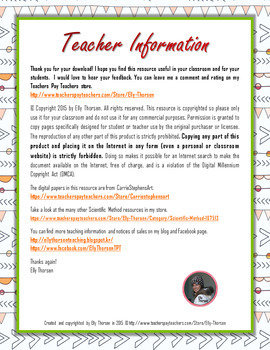 You might also be interested in the Independent and Dependent Variable Interactive Notebook Pages. 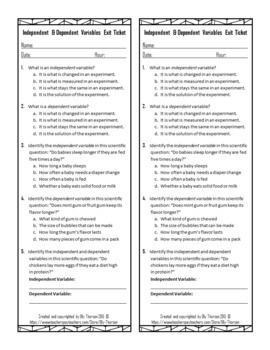 Take a look at the many other Scientific Method Resources in my store, including the Hypothesis and Variables Worksheet Package and the versatile Scientific Method Stations which are great for reinforcing the differences between independent and dependent variables.